Berlin-Ichthyosaur State Park was first established in 1957 to protect and display North America’s most abundant concentration of the largest-known ichthyosaur fossils. The park also preserves the turn-of-the-20th century mining town of Berlin, as well as the Diana Mine. 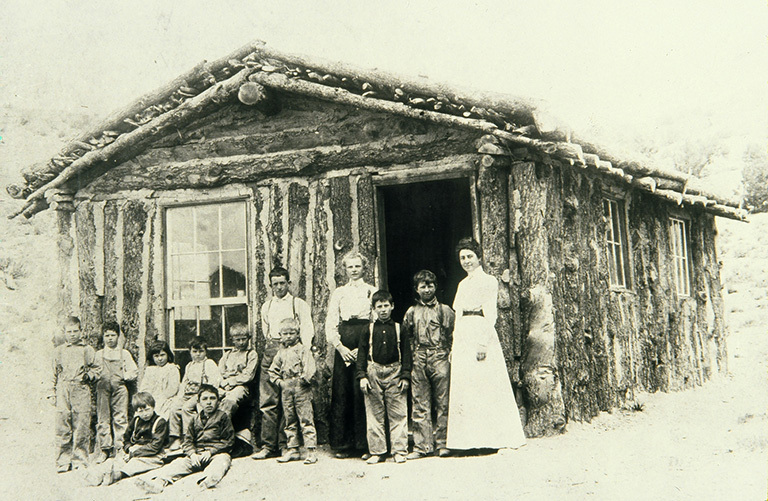 The first mining activity in the region was in May 1863, when a small group of prospectors discovered silver in Union Canyon and the small mining camp of Union was settled. The following year the Union Mining District was formed, which included the towns of Union, Ione, Grantsville and later, Berlin. 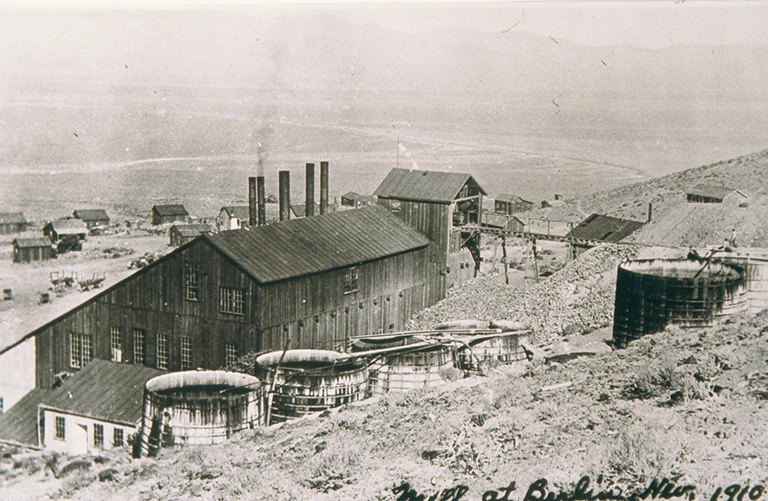 The first assay report in Berlin Canyon was in 1869, but it was not until 1896 that the Berlin Mine was established. With the purchase of the mine and numerous surrounding mining claims by the Nevada Company in 1898, the town of Berlin was soon at its height of popularity, which continued until 1908.The town declined to its death by 1911. The Berlin Mine’s total production from its three miles of tunnels is estimated to have been $849,000 at a time when gold was $20 per ounce. During its heyday, Berlin and its Union suburbs supported 200-250 people including miners, woodcutters, charcoal makers, a doctor, nurse, forest ranger and a prostitute. Many of the original buildings still remain, and some of the original residents are interred in the town’s cemetery. Berlin stands today as a true Nevada ghost town, preserved for present and future generations. More than 80 interpretive signs bring to life the ghost towns of both Berlin and Union. Text for these signs was provided by Firmin Bruner who as a child grew up in both towns. Born Firmin Ascargorta in Spain in 1899, Firmin’s family came to Nevada to live the American dream. His father was a sheepherder in Cherry Creek for a short time before moving the family to Union and eventually Berlin. In 1921 Firmin applied for American citizenship and took on his boss’ last name of Bruner. Growing up in the western mining camps was an adventure for young Firmin. His fond memories provide the history of these areas so that present and future generations may understand that period of Nevada’s colorful past. He was instrumental in assisting Nevada State Parks with developing a written history for today’s visitors to learn about and enjoy. He even gave town tours as a volunteer at the park from 1974-1990. Today, visitors can do a self-guided walking tour and read Firmin’s recollections as a child growing up in a turn-of the-century mining camp.